Welcome to the KRC. To help you understand what we offer and how we operate go to our Using the KRC page. The library has a range of physical and online resources and spaces for work and recreation. We have an extensive collection of fiction and non-fiction books. Work your way through this page to learn about the many resources we have. Click on each image to get more information or go to the resource. Visit: 8.00-5.00 Mon to Thurs, 8.00-4.00 on Friday. 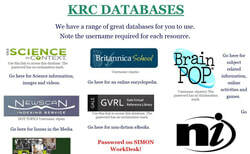 This page has links to all our databases. The usernames are provided; the password is on the SIMON page. Created in collaboration with subject teachers these pages have a range of resources for VCE subjects. Go here to look up our wide range of resources. We use Flipster to access our eMagazines. You can download a magazine and read it offline. 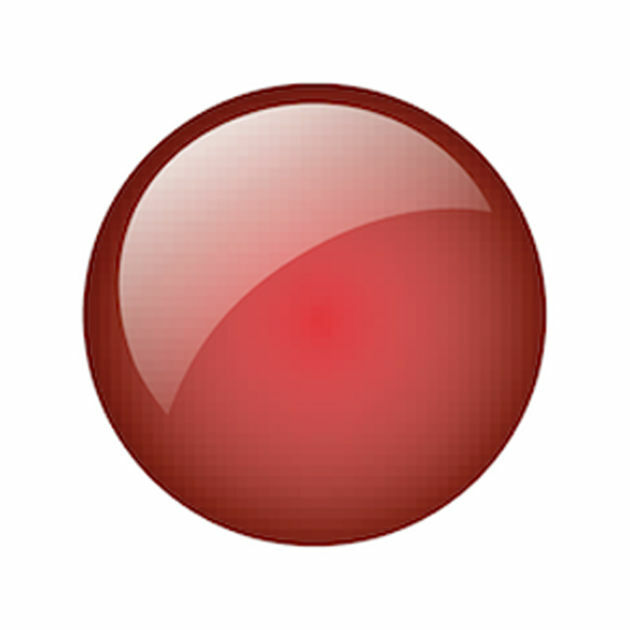 ​We use ClickView to access all our audio visual material. Use your school login details for access. You can download videos onto your device and watch them offline. We have a growing range of eBooks and audiobooks. Students can download these and read or listen to them offline. Your teacher will book a work desk for you in the KRC and book a time for you to complete assessment tasks. Your teacher may book your class into the KRC to use print and online resources, desktops, laptops, printers and a maker space. For Years 7 - 10 students eTextbooks are accessed through Campion MyConnect. Books can either be downloaded as a PDF (white tab) and read through the eReader or they can be accessed online via a link (bluee tab). To use interactive resources choose the online link. ​The program aims to develop a reading culture to improve their literacy and engagement with texts. We create a page of links to useful sites for an assignment or unit of work. Look at the ones we have already made for Years 7 - 10 students. Data charts and Bibliographies Use these to record your research and the sources of your information. Add the details about a resource and a reference will be generated in APA format. Email us a question. We're here to help.